On October 5th 2011, the world lost another visionary. These are some of the lessons he left behind. Like very few before him, Steve Jobs changed the world in so many ways, from his creation of Apple Computers, to the revolution in Hollywood animation with Pixar, to more recently the invention of the Iphone and Ipad. His lessons are available everywhere, including an Autobigraphy that was released just weeks after his death. These are those ten things he left me behind. Nothing captures Job’s entrepreneurial behavior like Apple’s 1997 slogan and advertising campaign, Think Different. He defied the conventional ways of doing things and approached them differently. The Iphone isn’t just another phone or another computer. Like those visionaries in the TV ad, you too can break the mold by thinking and acting differently at work. Stand out from everyone else and make a corporate impact. 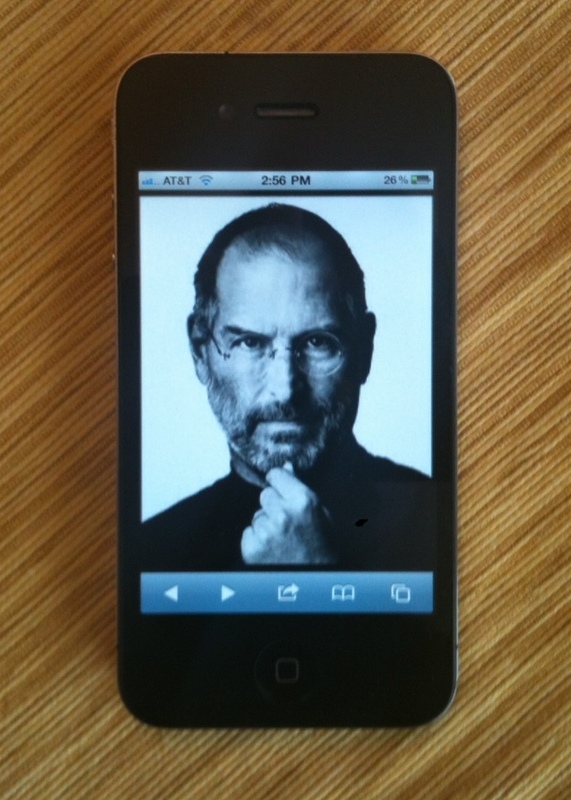 Jobs overcame many obstacles before being the super genius you and I know today. He was given up for adoption by his birth parents, he dropped out of college, and later got fired from the company he created – Apple. His second business, NeXT, got bought out by his first. But that wouldn’t stop him from persisting in what he believed and was passionate for. Believe in yourself and that you can overcome any obstacle, keep pushing and moving forward, only to return stronger –like Jobs who would become CEO of Apple again and one of the most influential people in the world. After dropping out of college, Jobs travelled to India looking for spiritual enlightenment. It’s said, that that trip and search for Zen is what inspired the simplicity behind Apple products. From its clean packaging to its easy-to-use button, no one could have designed Apple products like Steve Jobs and his engineers. See otherwise in this funny clip here. Find inspiration around you to keep work simple – your emails, your presentations, your speeches, your products.Life has too much going on to complicate it even further for you and your customers. Just when you thought you had the coolest phone in the world, here comes the Iphone 4. As soon as you saved enough to buy your first Ipad, Apple surprised you with an even better one. Continuously strive for perfection and never be satisfied with your best work improving upon it more and more. Likewise, if you are running a business, pace your innovation out. Jobs was known to be a perfectionist, a control freak, a strong believer in that he knew what the consumer wanted – not them. Steve wouldn’t just launch products to hit a timeline, or react to a competitive threat; he was genuinely interested in offering the best and wouldn’t launch it until he had it. You start seeing a pattern in successful people, those who demand perfection. For you and me at work, it’s not only demanding but delivering it too. After one semester at Reed College, Steve Jobs was unimpressed and dropped out. He went on to surprise everyone with lessons in Sales, Engineering, Computer Programing, Entrepreneurship, Marketing and more. He didn’t sit around waiting to be taught, he proactively learned all these things and had a drive for them. Teach yourself the skills you need to succeed: follow others in the field, take classes, look online, but ultimately find ways to better yourself beyond just college. Steve Jobs originally began working on a tablet, when a breakthrough in technology shifted his focus to creating a phone. In his own words “I put the tablet project on the shelf because the phone was more important” That simple shift in direction led to the IPhone. Once he perfected it they incorporated everything they had learned on what later became the IPad. Have room in your plans to adapt to changes and reprioritize your work, like in these two breakthrough examples it could ultimately lead to bigger and better ideas. The Steve Jobs you and I saw online giving magical speeches dressed casually in jeans and black shirts, wasn’t the Jobs his employees knew. It’s well documented, including his Autobiography and TIME and FORTUNE magazines, that his management style was controlling, tyrannical, and fierce. He was arrogant, disrespectful, and obsessive. But he had two things working for him: a vision and a way to articulate it. On a personal level, his style is the complete opposite of mine but that’s what worked for him. Choose the managerial style that works best for you, your employees, and your company culture. I leave you only with this message: It’s ok to be a jerk when you have a vision and accompanying success. It’s a simple lesson that many times goes undervalued: Enjoy what you do. Jobs couldn’t have done his first job at Atari for many years because it wasn’t his passion. He couldn’t have been anything else, because he wouldn’t have enjoyed it. Ask yourself whether you enjoy what you do and act upon it. This video might inspire you too to get started. Steve Jobs was a genius who changed the world at least the 8 times he made the cover of TIME magazine – matching very few presidents and world leaders. From a garage startup, Jobs and Wozniak drove the idea of personal computers into every home. Now they are in every hand. The lessons above, plus the millions more posted online, led Apple to overtake Microsoft in 2011 in size and profits. Your will to learn and follow them, should guarantee you a similar success story.